Wall mural Peacocks. 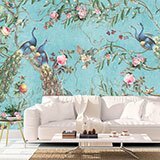 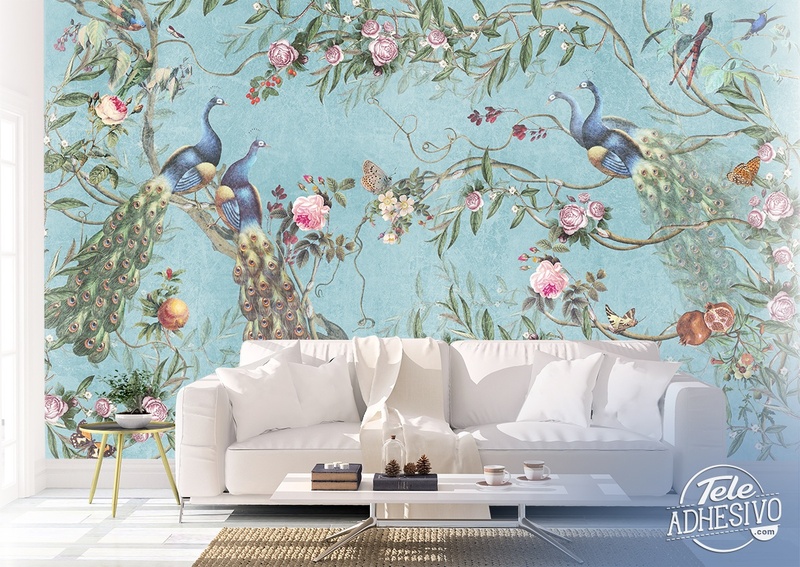 An excellent illustration on a light blue background with branches with roses, birds and butterflies fluttering between them. 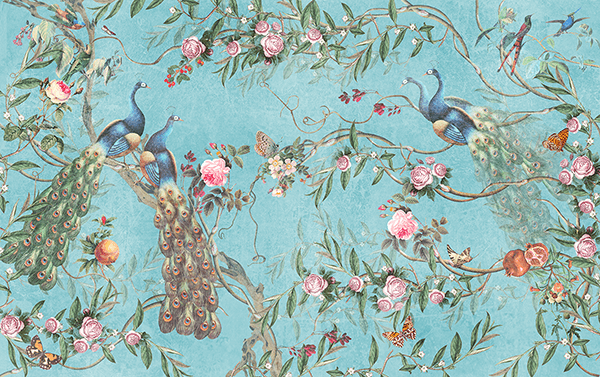 But the real protagonists are 4 peacocks that are in the center of the illustration attracting attention with their beauty.